Sakleshpur is a quaint little hill station, tucked away on the slopes of the verdant Western ghats. Famous for its coffee plantations, the town is amidst green hills full of coffee, cardamom, pepper and areca plantations. It is not as popular as the neighbouring Coorg but nevertheless, equally beautiful, less commercialized and more peaceful. Our drive from Bangalore was a beautiful one on wonderfully maintained, lush green roads. We reached the destination in under 5 hours with stops in between for refreshments.The Bangalore-Mangalore (BM) Road which took us to Sakleshpur is a beautiful tree-lined road offering scenic views time and again. The road is lined with picturesque tall hedges enclosing coffee and pepper plantations within. While driving, we could also see swathes of mist flying down towards our car. That was truly a sight to behold as we felt we are floating in the clouds! 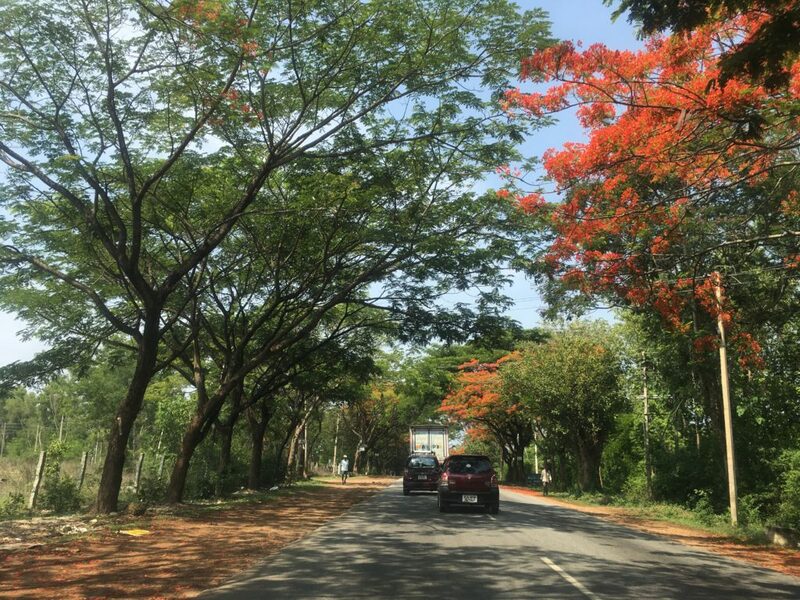 The mild temperatures, cool, fresh breeze, abundant greenery interspersed with bright red May flowers in their full bloom, made for a refreshing sight. 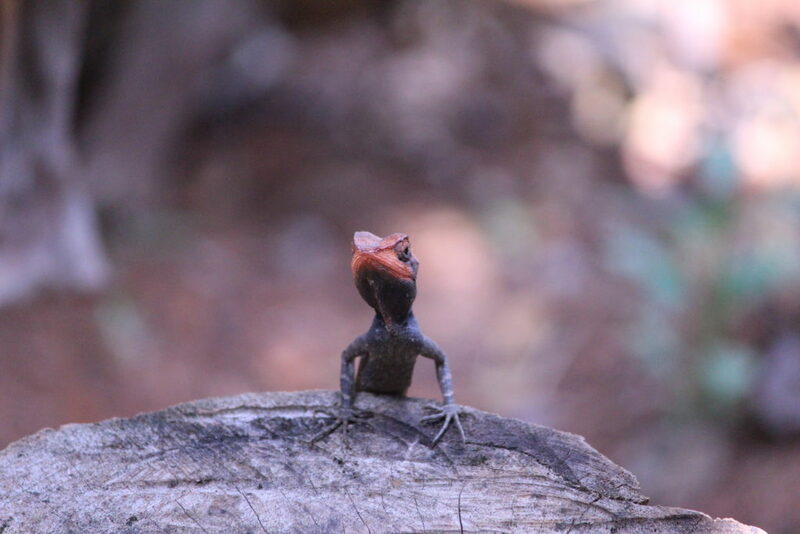 We were really thrilled to be at such a place, away from the crowds of Bangalore and also from the crowds usually seen at other popular hill stations at this time of the year. 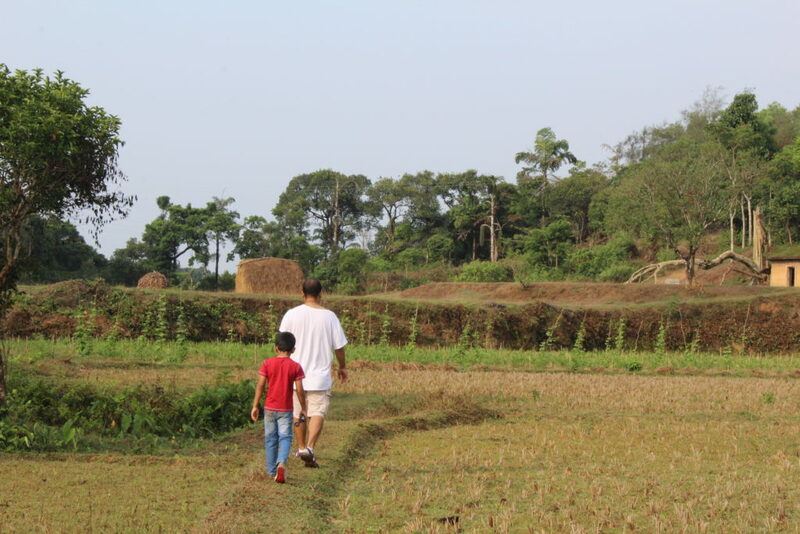 On reaching Sakleshpur, we found our way to our homestay, which was located some 15 odd kms away from the town. We checked in our homestay at around noon and decided to spend our time relaxing there in the afternoon. 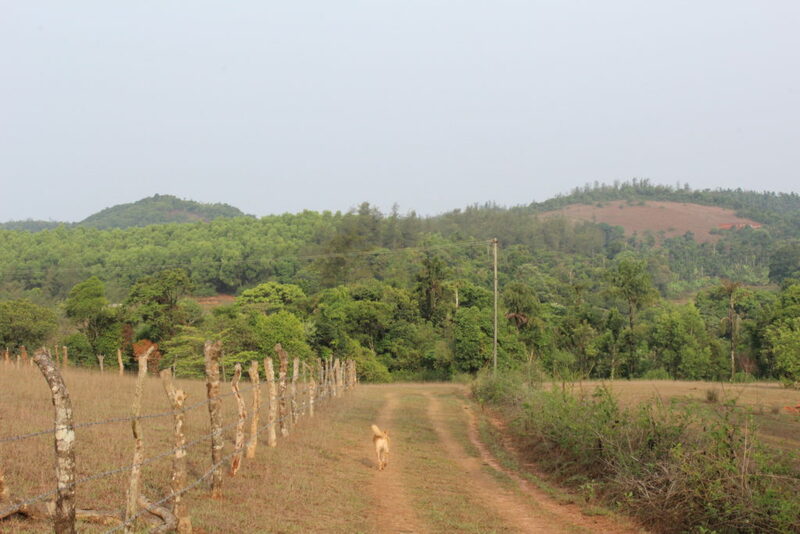 Evening came and we wanted to get out and explore the rural surroundings. Deciding to take a stroll nearby, we walked on and reached vast, rolling expanses of grasslands, without any civilization in sight. It felt magical to be in the middle of nowhere, with just small hills covered with lush green vegetation rising in the background. 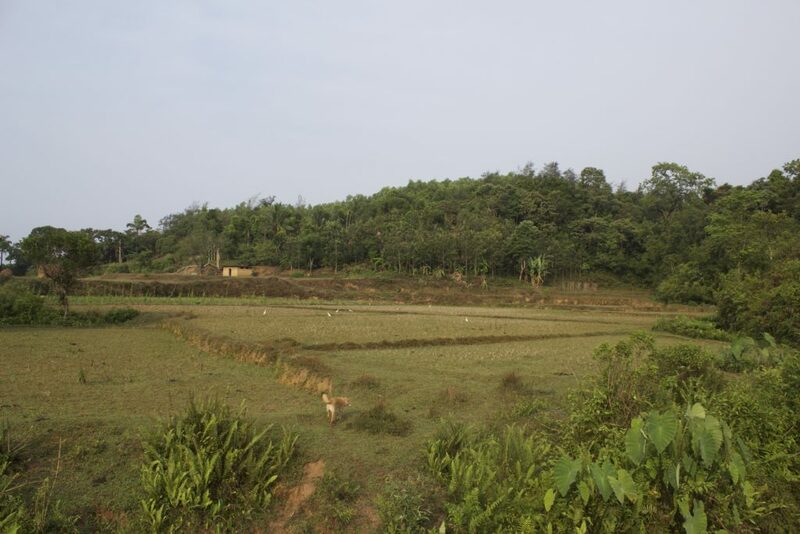 We proceeded along the mud path on the grassland and reached a small rivulet flowing through a few paddy fields. There was a small arch-shaped bridge, which helped us cross over to the paddy fields. It all seemed very charming and serene! Thatches of hay lay stacked in the paddy fields; a lone village woman making her way back to her village, seemed picturesque! 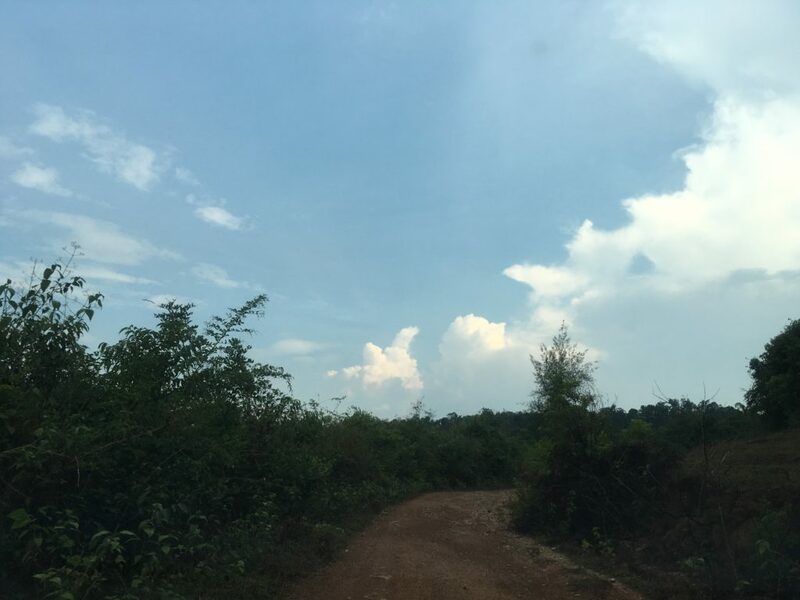 Suddenly dark clouds started gathering in the sky and we decided to hurry our way back to the homestay. Already tired with the day's driving, we decided to call it a day. The next day after a hearty breakfast, we decided to visit the ancient Belur temple, renowned for its architectural beauty. 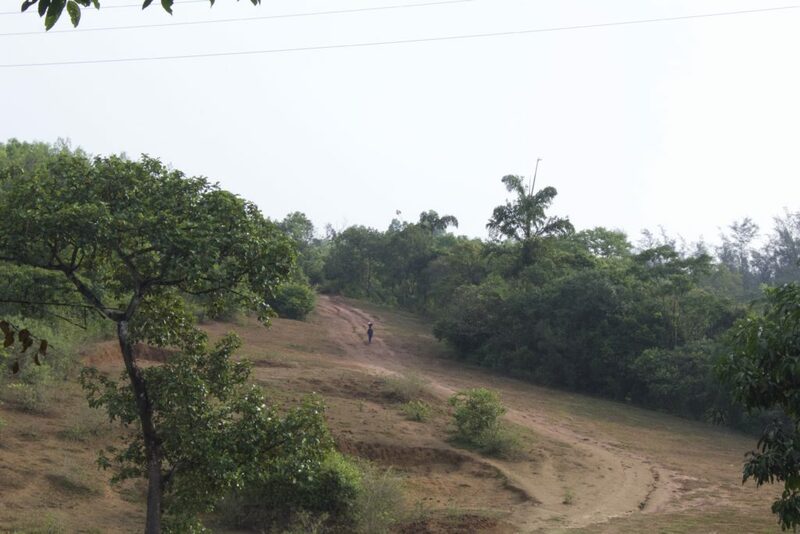 We were advised against visiting the Manjarabad fort and the Bisle view point. The fort it seems was in a filthy condition and the road leading to the Bisle view point was in a bad shape as well. 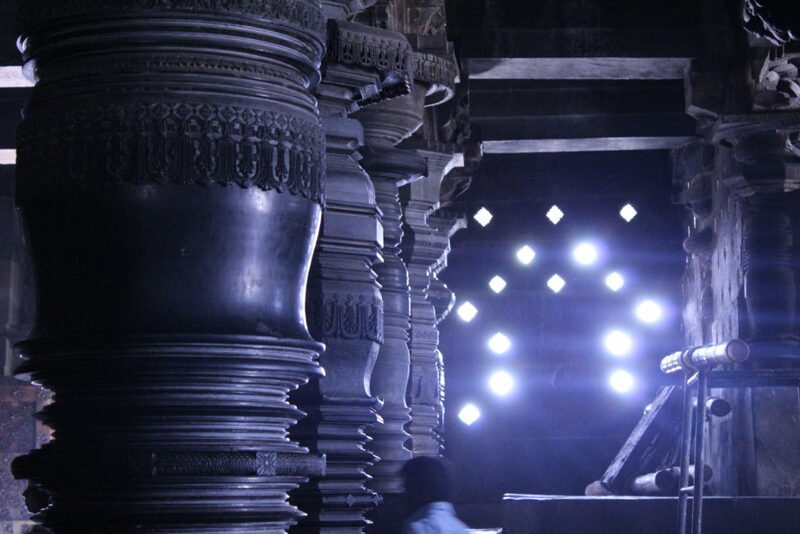 Hence, we decided on Belur. The drive to Belur from Sakleshpur was again a very smooth one with verdant roads all the way. 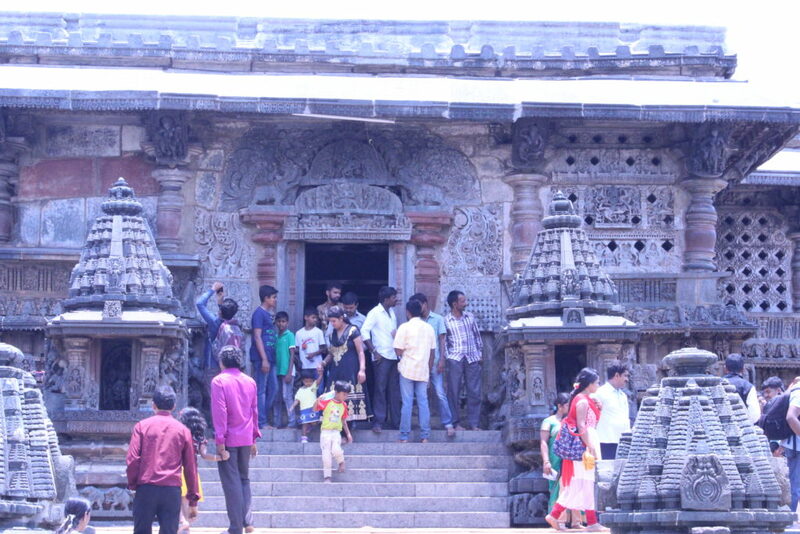 It took us around 1 hour to reach Belur and we parked our car near the temple wall in one of the lanes there. We hired a government guide at the entrance of the temple. He was to charge us Rs 300 for about 30-35 minutes of the guided tour of the main temple. He explained all the sculptures and carvings on the temple gopuram, and on the walls, in detail. He was an expert in his work – I guess practice made him talk perfectly in a rhythm non stop! The lady with the mirror; the queen who danced on the pedestal in front of the main shrine; the fashion (saaj shringar) in those days; all these and other stories carved on the temple walls fascinated us. 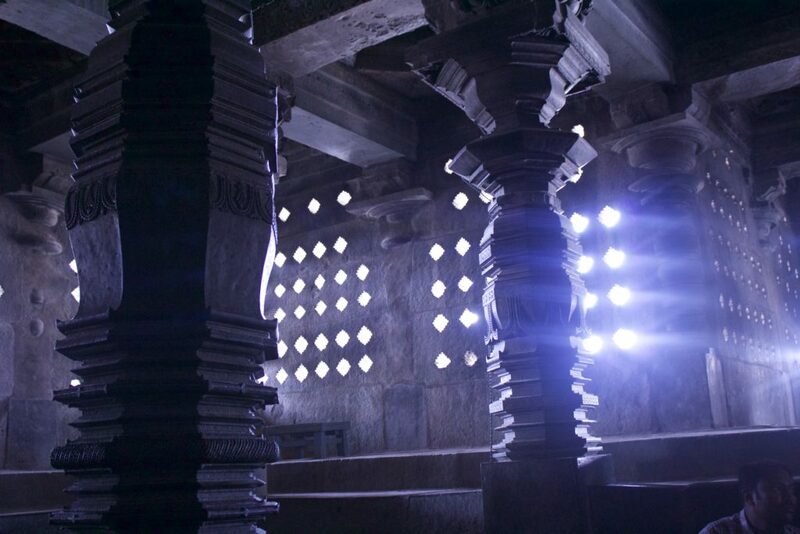 The soapstone carvings are so intricate that the temple indeed seems to be decorated with a filigree all around it.We were mesmerized by the architectural beauty of the temple and were dumbstruck with the intricate carvings it has. 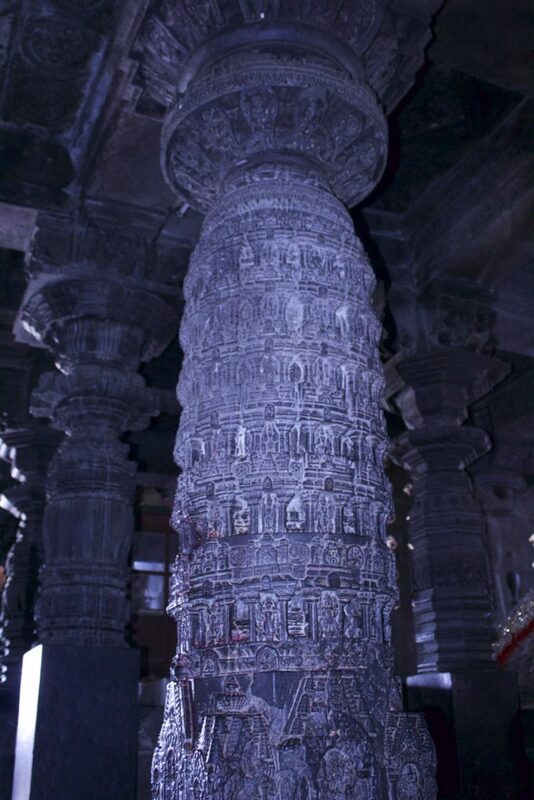 One of the pillars near the sanctum sanctorum, actually used to rotate around its axis till some 200-300 years ago (Picture below). A architectural wonder, I must say! It was about 1 pm in the afternoon and hunger pangs started to kick in. There were no restaurants or eateries in sight near Belur. We started towards Sakleshpur hoping for some delicious lunch. We stopped at a vegetarian restaurant next to the Ossoor coffee estates on BM road. The place was full and we had to wait for 5 minutes before we could get a table for ourselves. The waiter got us seated and handed us the menu card. And man, what an extensive menu they had! – They had everything from North Indian, South Indian to Chinese. The food was tasty and the quantities were huge. While we were busy eating, the rain gods descended upon us with a fervour. The rains lashing in the adjacent lush green coffee estate made for a splendid sight from the restaurant (Meal with a view! :D).We ended our meal with a delicious filter coffee, which it seems was from their own coffee estate. So obviously we ended up buying 2kgs of their coffee powder and some garam masala before we started for our homestay again. The rains had subsided by the time we reached our homestay. However, later in the evening, the rains started again with loud thunderstorms and lightning. It was already dark outside by 6pm and the atmosphere was cool and windy.We decided that it was best to spend our time indoors. We wrapped ourselves warm and chillaxed in the room with a cup of hot chai and a good book on the kindle. Although, there is not much to sightsee in Sakleshpur, it makes for a good short stay if one is willing to spend time with oneself amidst nature. Finding a place in the lap of nature, beholding the undulating landscape of the Western ghats, with not a soul in a sight, made our weekend getaway even better! We could unwind away from the humdrum of the city and could truly drift away in the clouds of Sakleshpur.